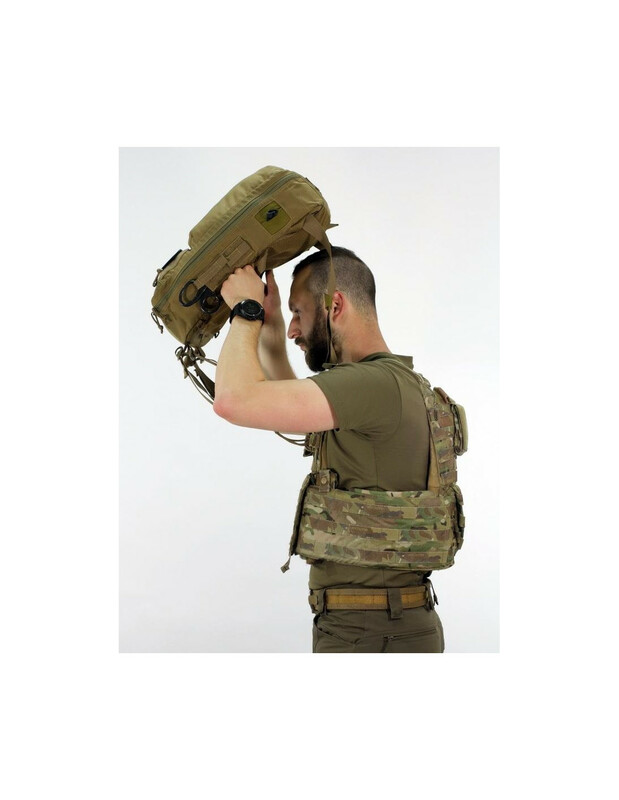 Assault Aid Backpack «Animus-Adapt» is an innovative medical backpack that is designed for work in challenging tactical conditions. 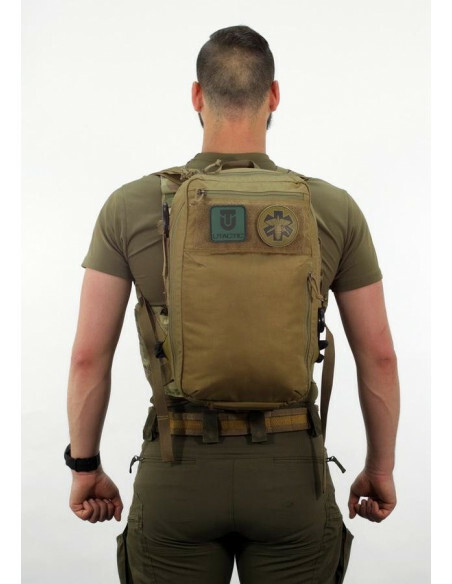 Designed by Combat Medic("68W") with the participation and taking into account the needs of SOF units. 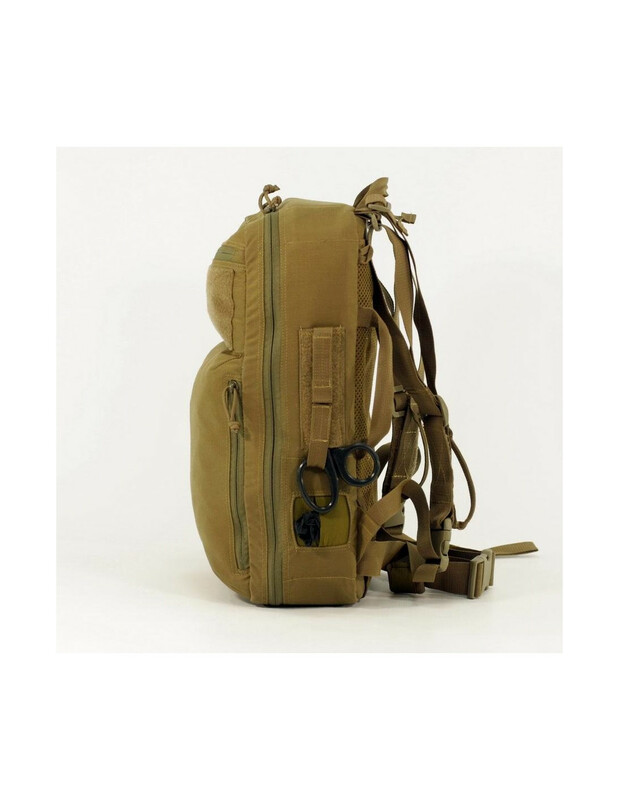 Created by Professionals for professionals. 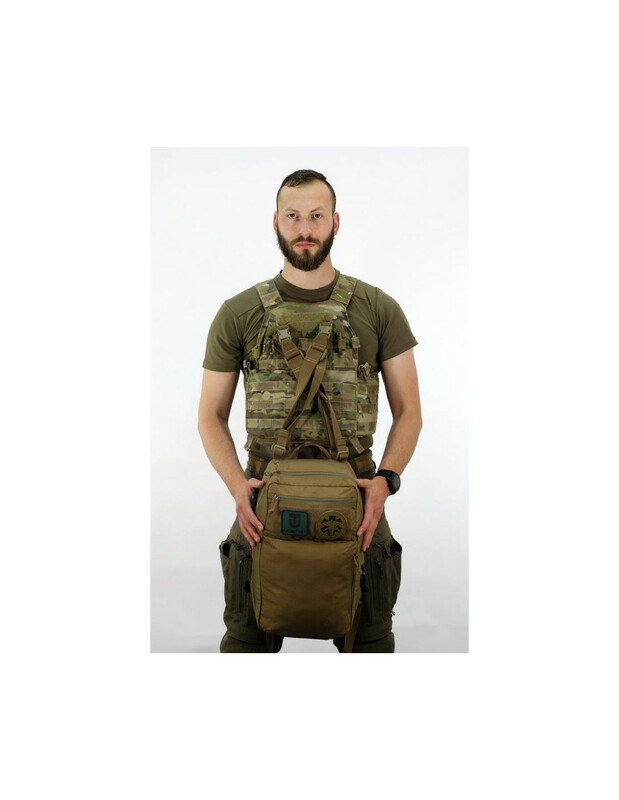 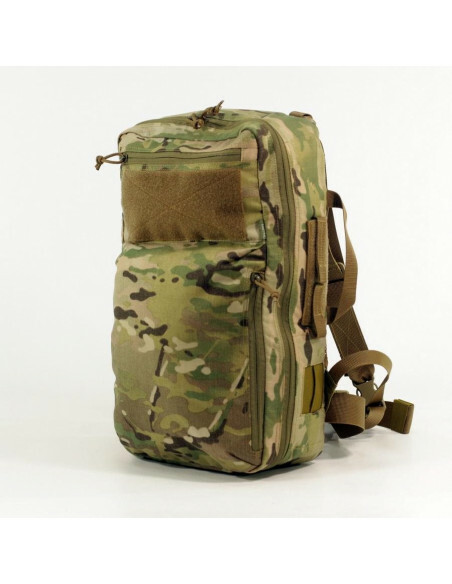 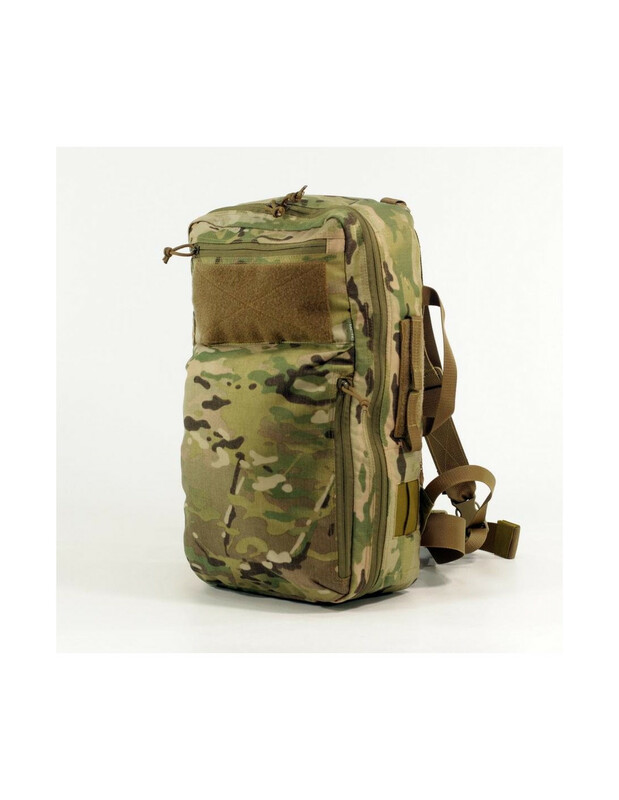 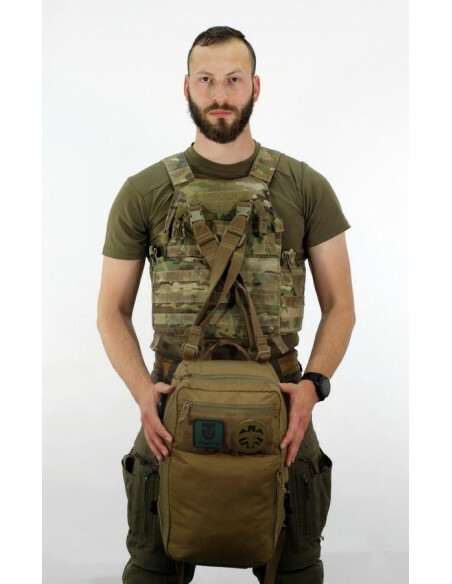 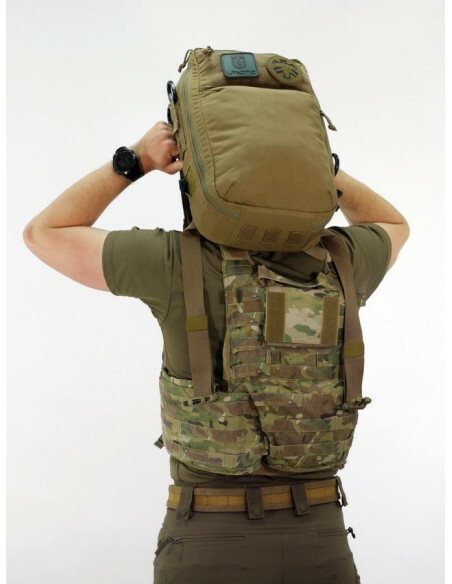 Spacious, but compact in structure, the backpack combined a functional full-fledged medical backpack and adaptability to the tasks of special operations forces. 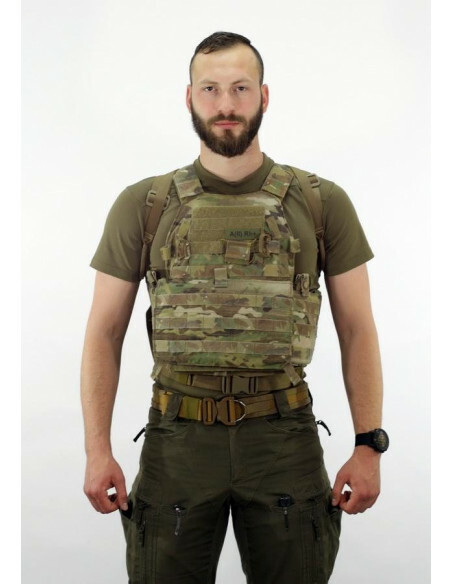 It is also suitable for regular military and law enforcement operations, private security structures. 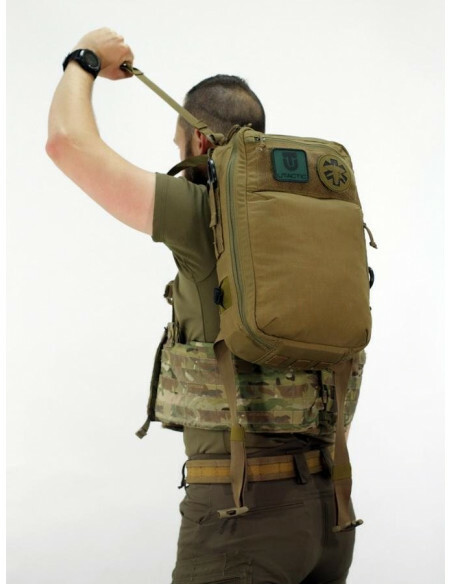 The name of the backpack speaks for itself . 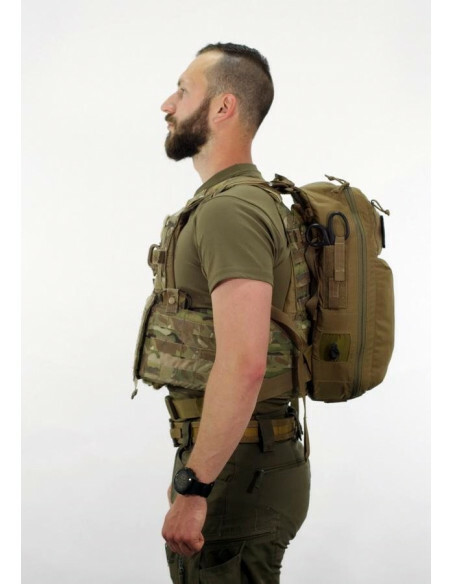 "Animus" in Latin means "spirit, soul, breath, intention, character, nature, brave, courage" – this, like nothing else, is characterizing the list of qualities required by a medic in the assault unit. 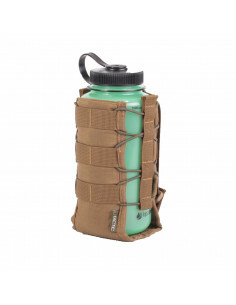 The prefix "Adapt" means the ability to adapt to any difficult conditions. 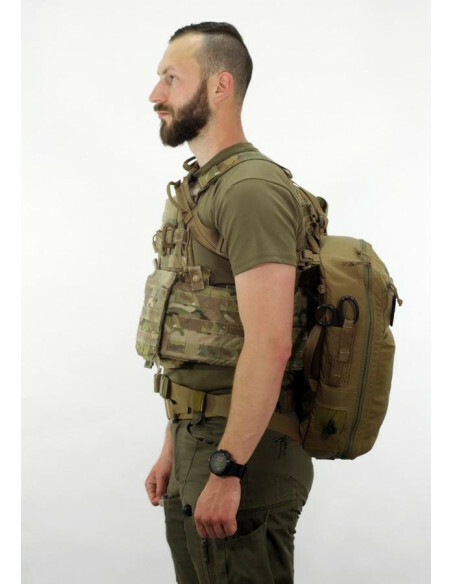 In the context of medic's work and service, the expression "adapt or die" plays an important role. 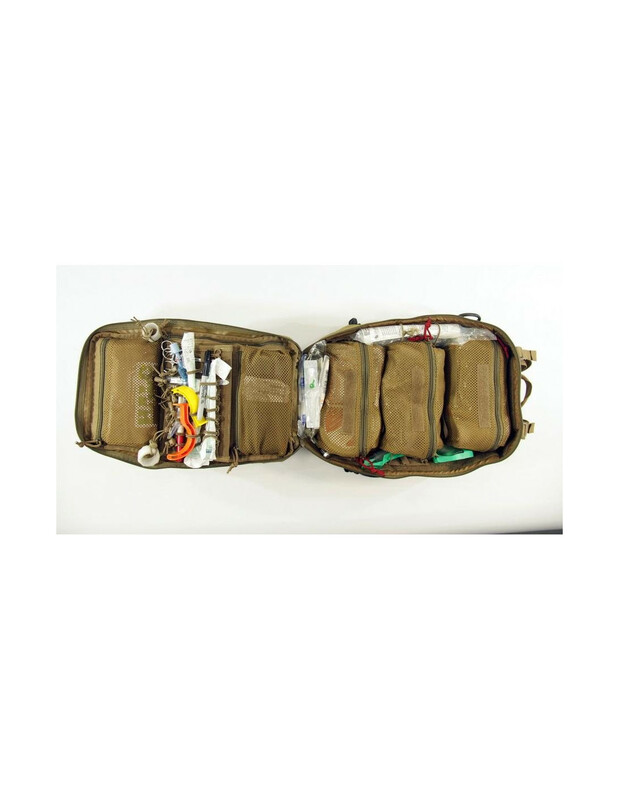 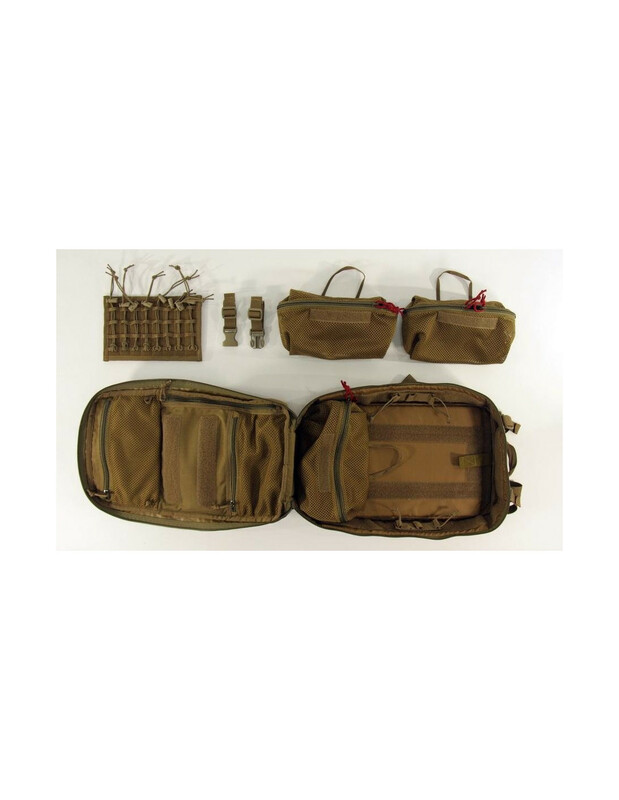 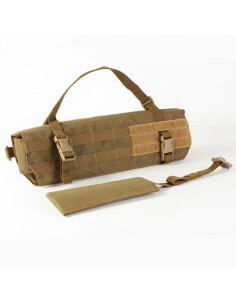 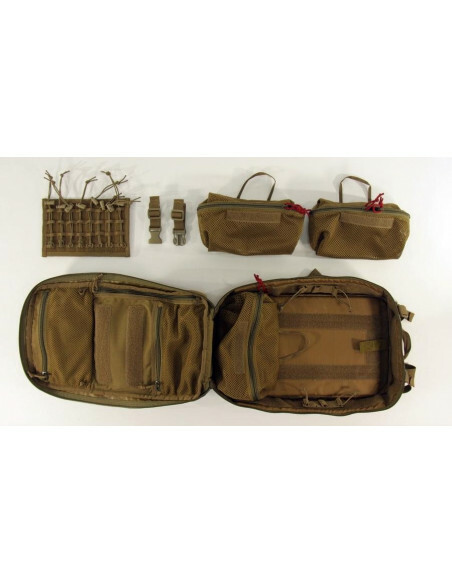 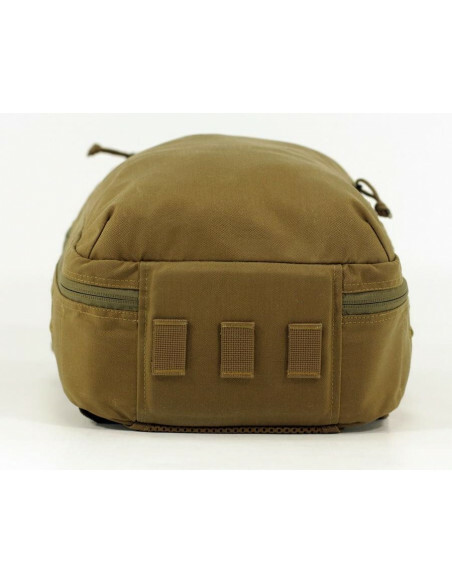 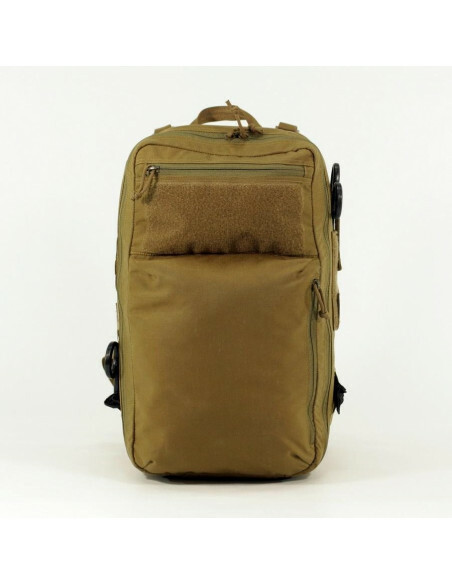 The size and volume of the backpack allows to assemble it with standard kit of Combat Medic (68W). 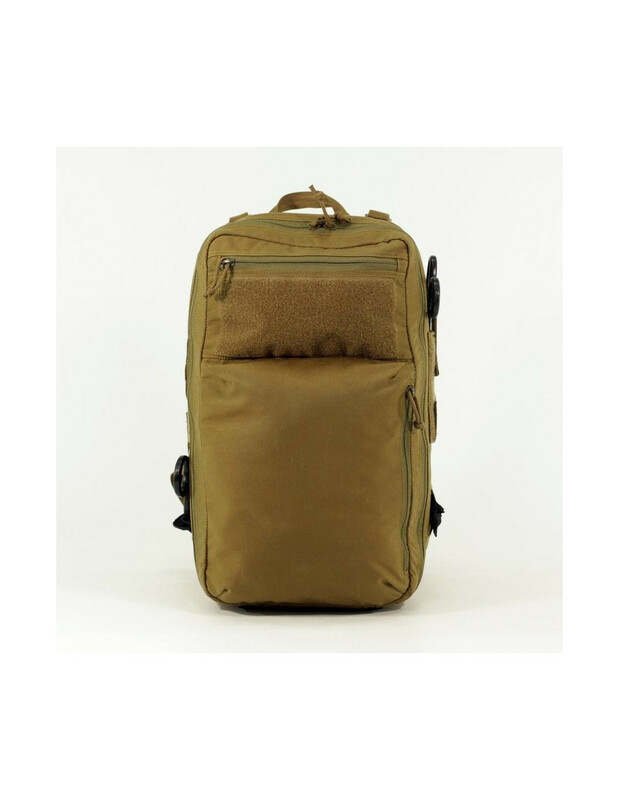 The minimalist design of the backpack is designed to be compact and easy to use in a limited space of urban building and vehicles. 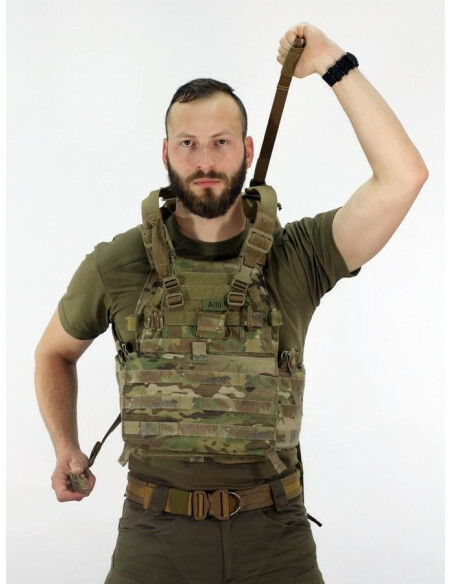 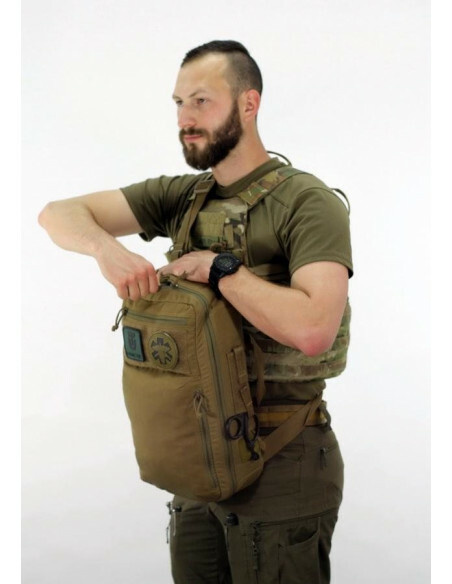 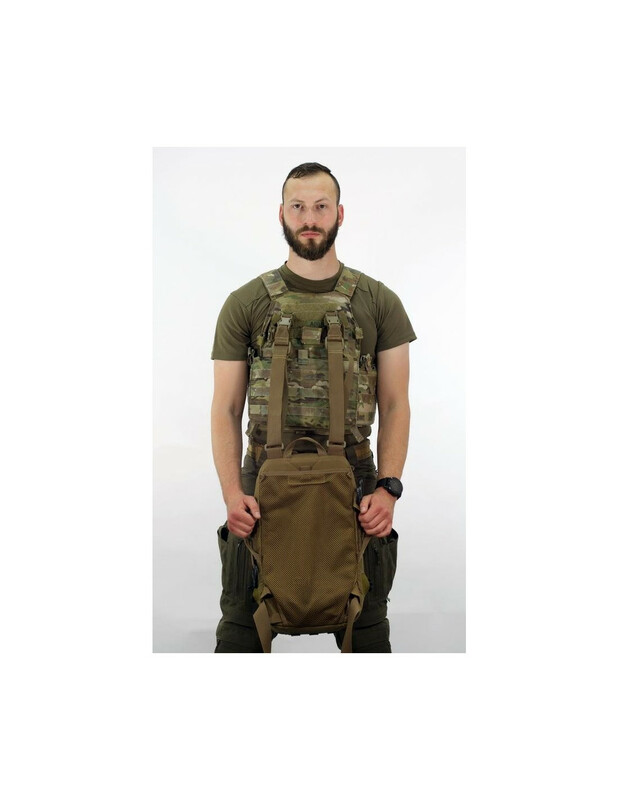 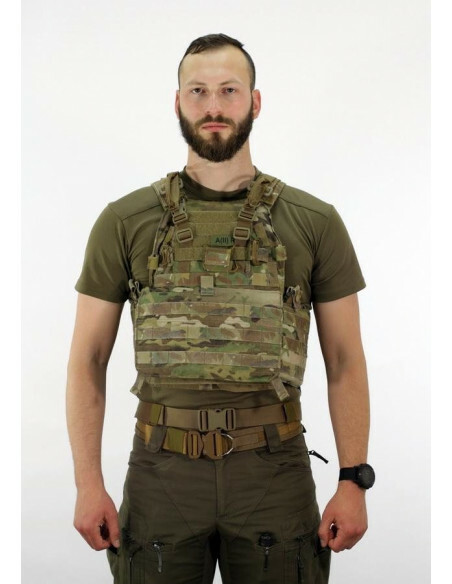 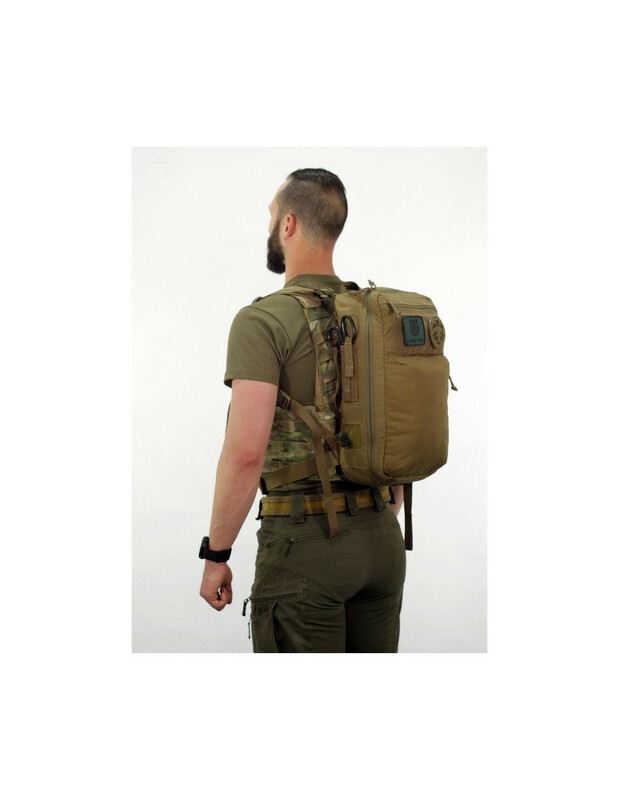 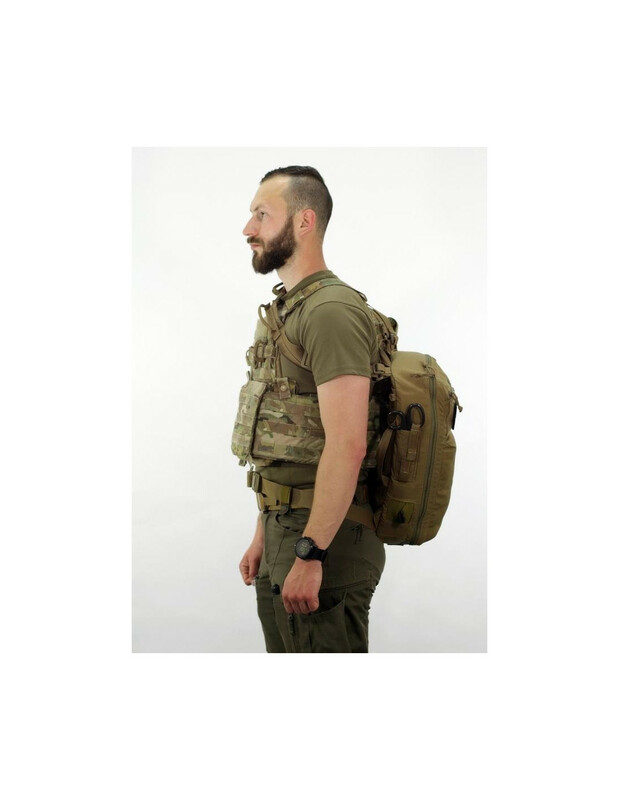 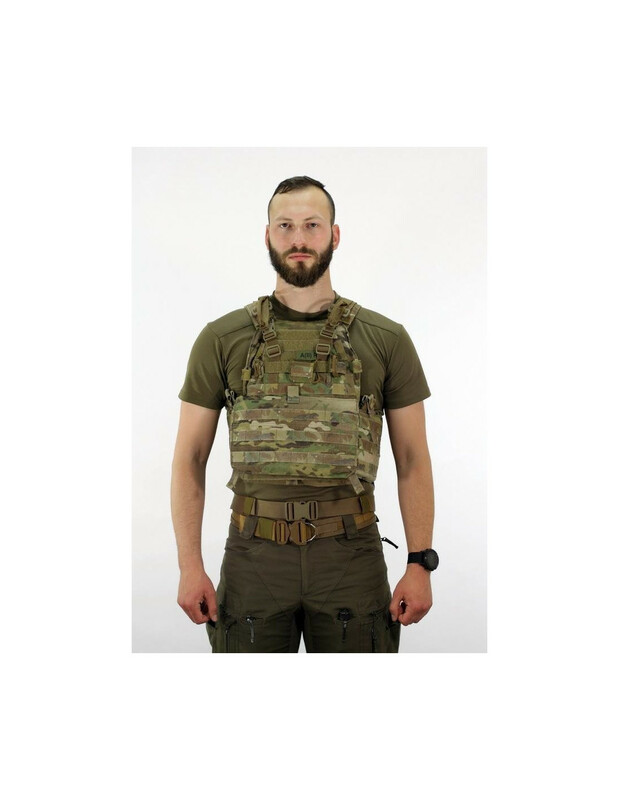 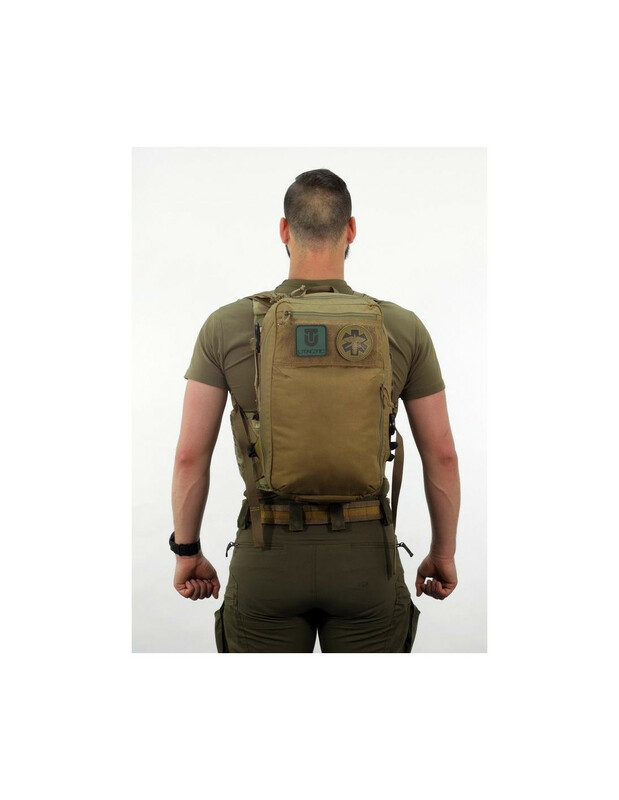 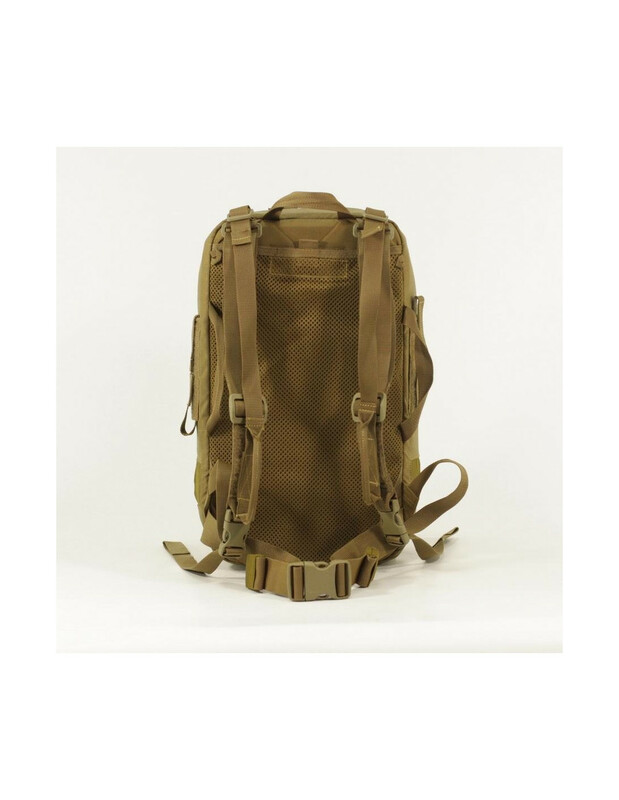 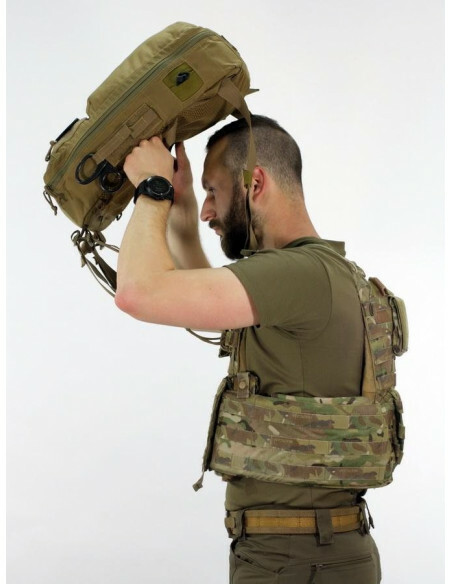 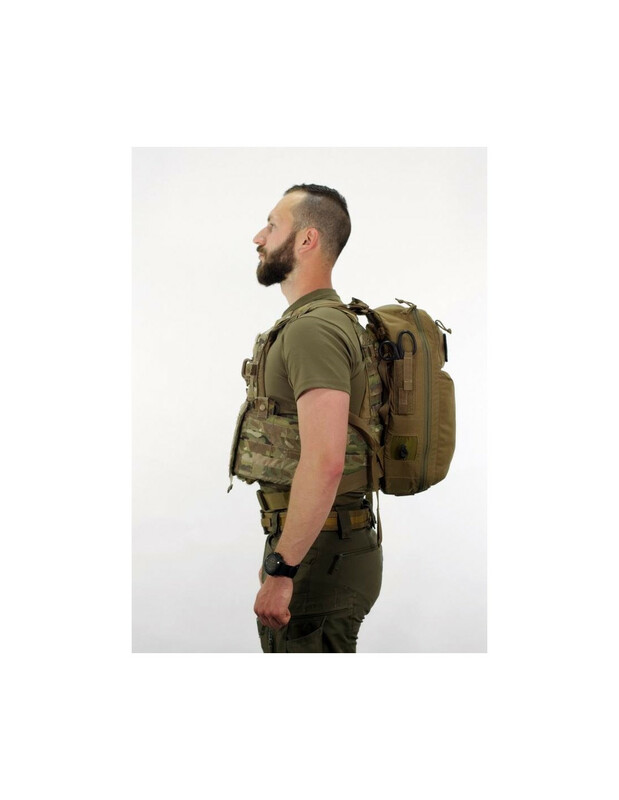 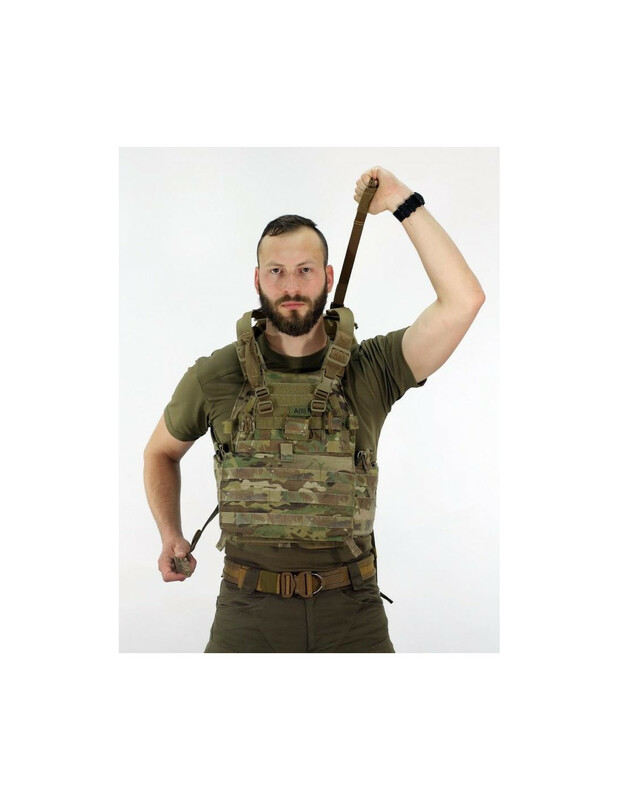 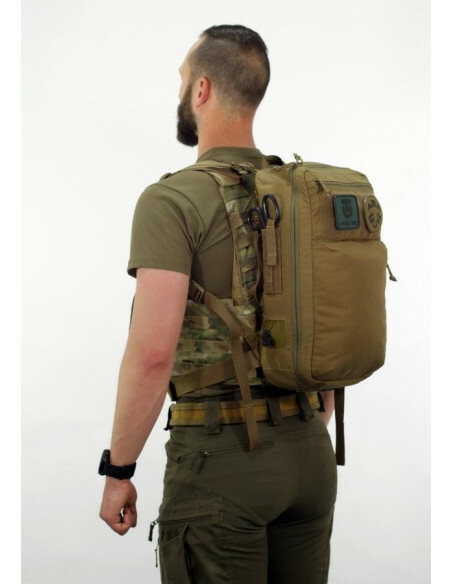 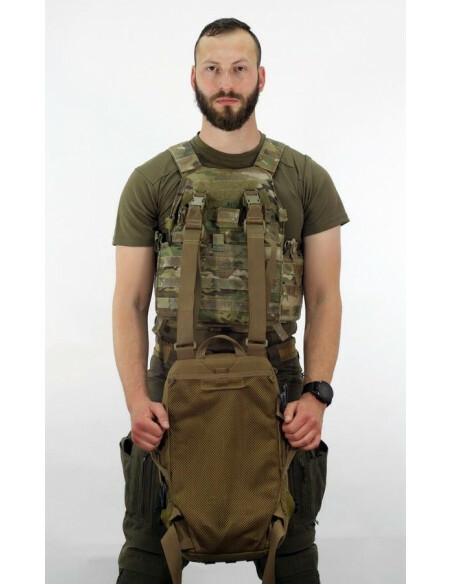 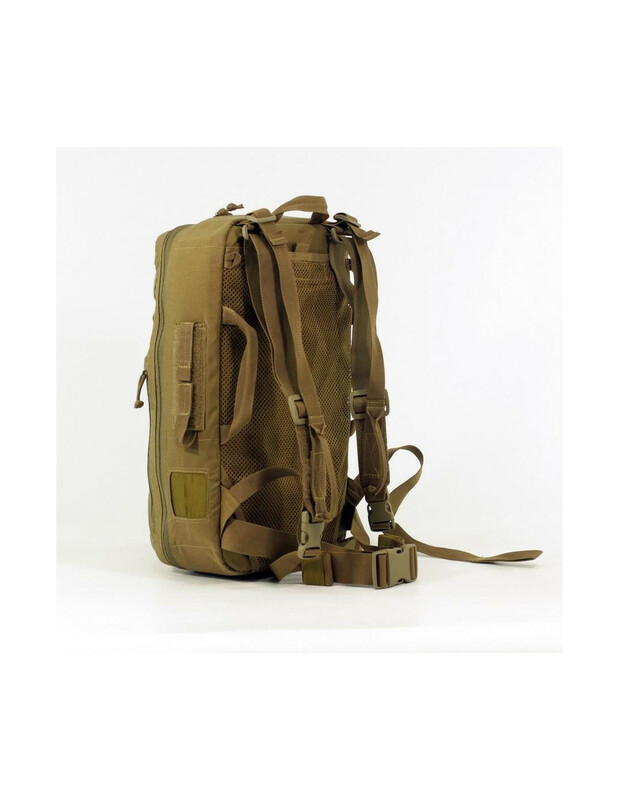 The backpack is equipped with a patented © "assault multi-purpose strap system", which allows adapting the carriage system depending on the changing tactical conditions and equipment of the soldier. 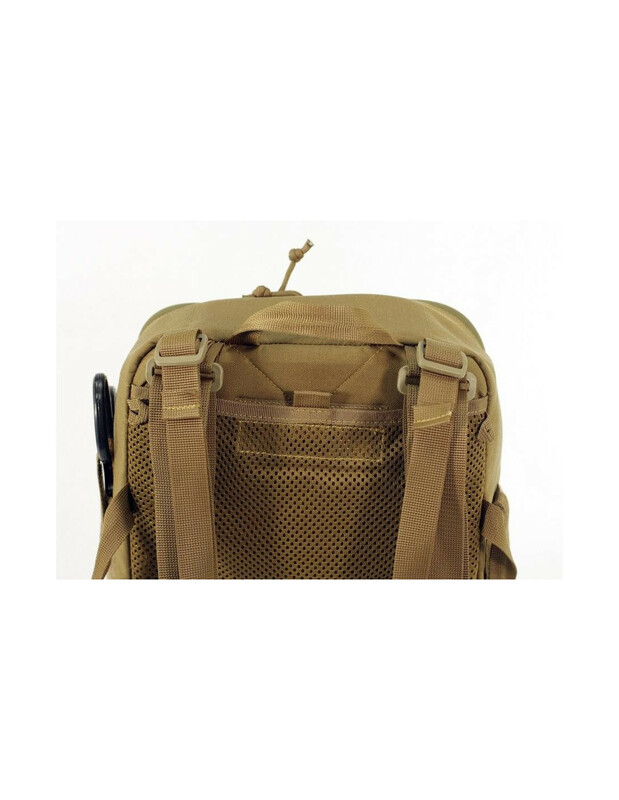 It also provides a wide range of options for fixing the backpack for work in vehicles and in buildings. 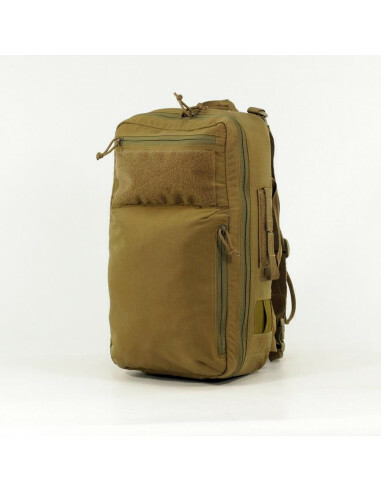 The backpack is equipped with three handles for transport: one vertical and two sideways, which makes it easy to transport it in your hands. 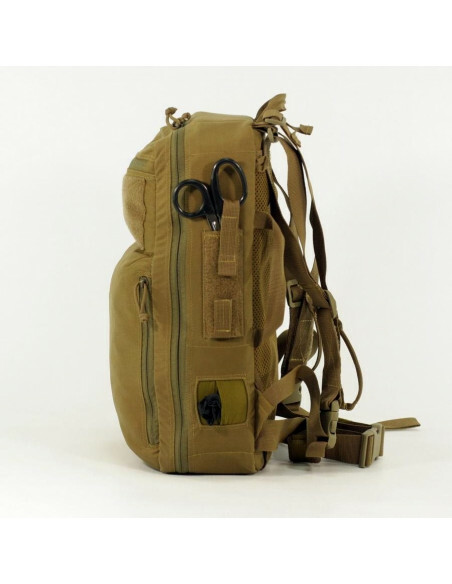 Bilateral trauma shears fixing system allows to remove them without removing the backpack. 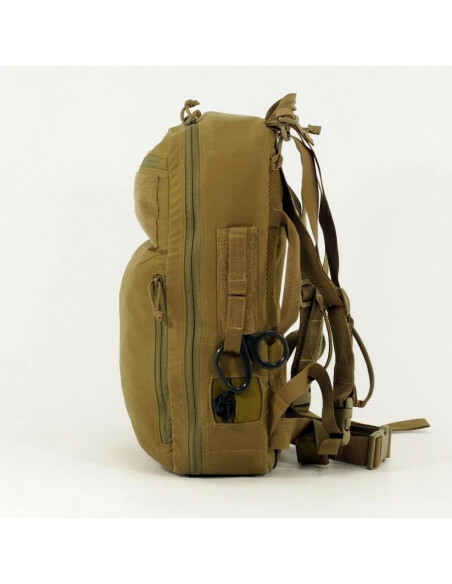 Near each pocket for shears, there are loops, intended for fixing shears or rescue hook to specialized fasteners. 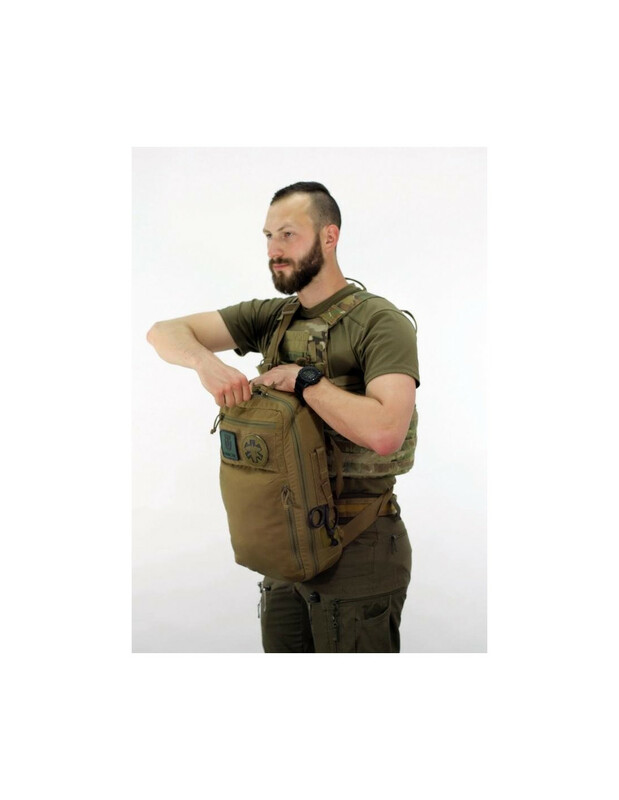 Innovative © glove pockets integrated into the sides of the backpack provide access to medical gloves without removing the backpack and in any other position. 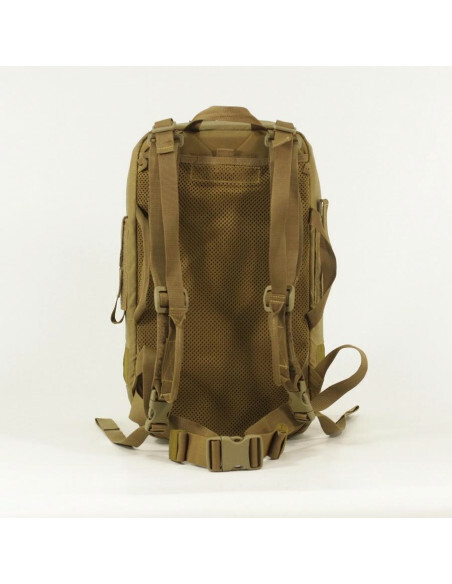 Outwardly on the front, the backpack has two pockets of rapid access: one small horizontal (which holds hemostatic tools) and one perforated vertical pocket, access to which is possible both exterior and inside the backpack (this may be useful for carrying tourniquets and wound dressings, which you may need both for the primary and for the detailed examination of the injured). 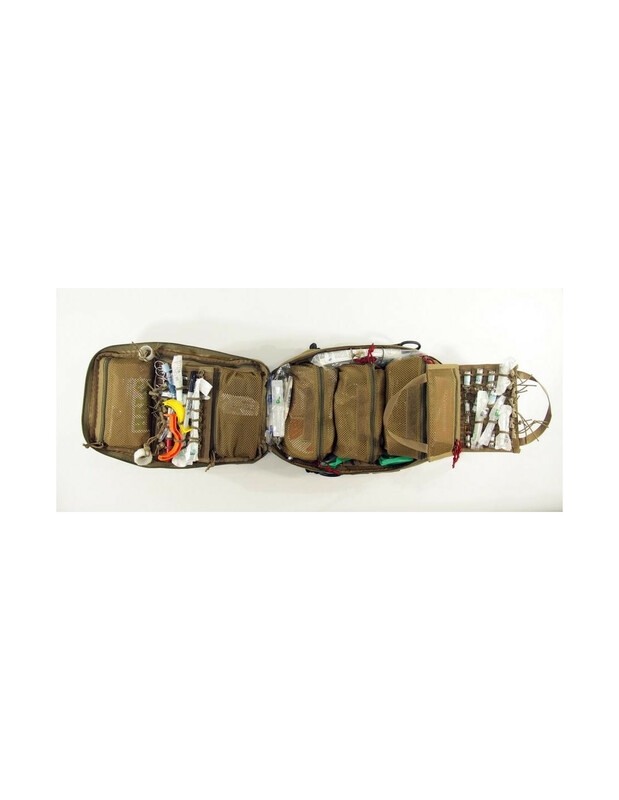 External pockets are recommended for medical rapid access necessities such as hemostatics and tourniquets. 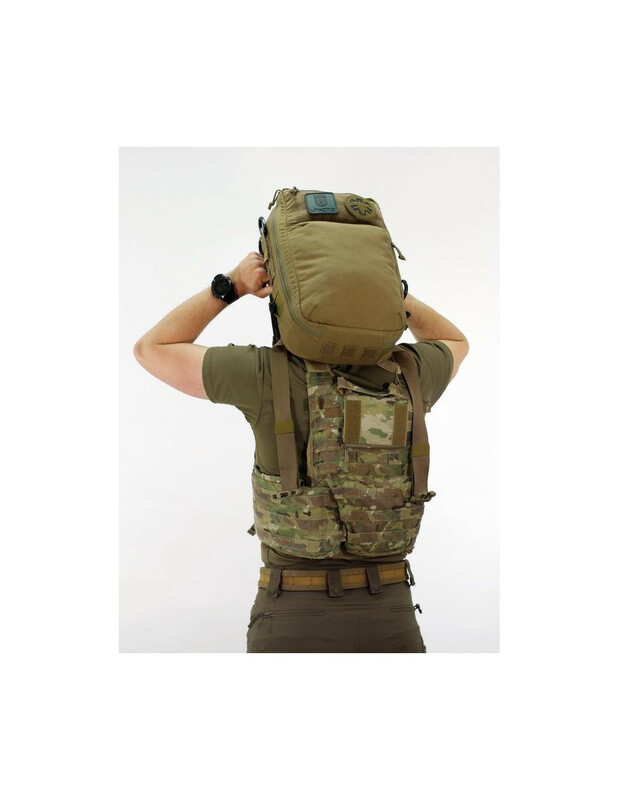 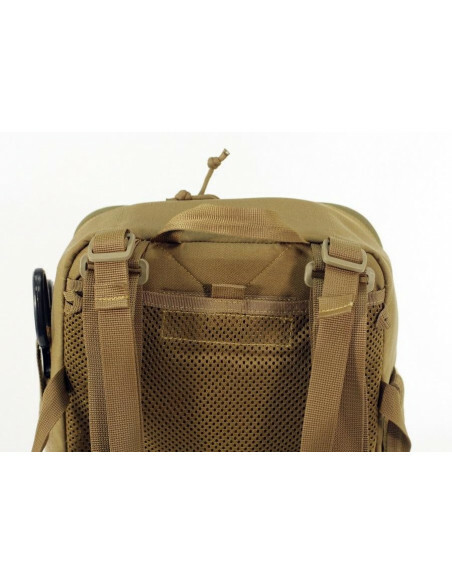 On the back of the backpack, there is a reticulated pocket that has a sufficient stretch coefficient, which will allow to place long and volume things (e.g., splints or thermal blankets). 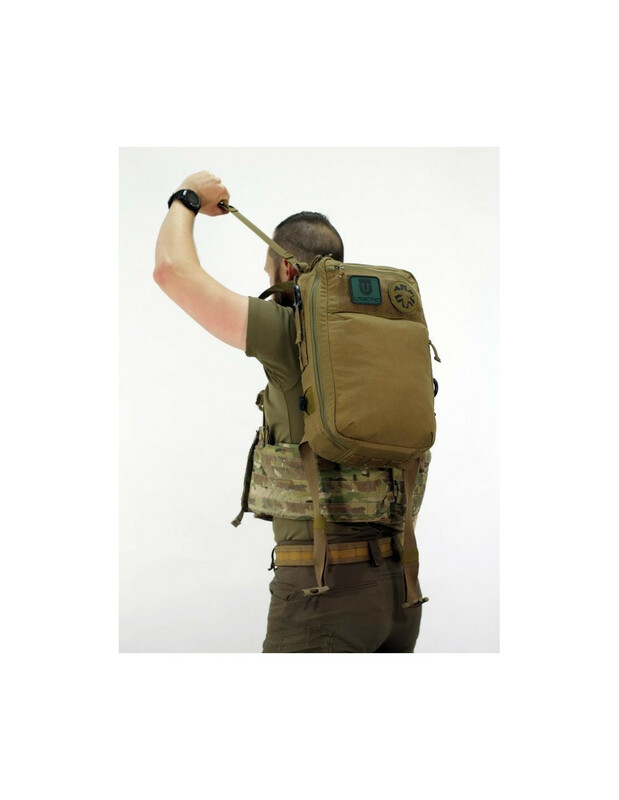 At the top of the front side, the backpack has a wide Velcro strip, which allows you to mark your backpack depending on your goals and tasks. 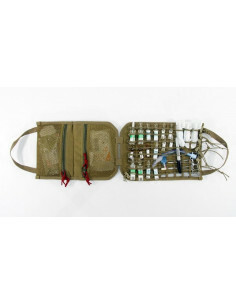 The front part is equipped with two reticulated pockets, an entrance to the external cross-pocket, and a Velcro panel for placing a small medical panel. 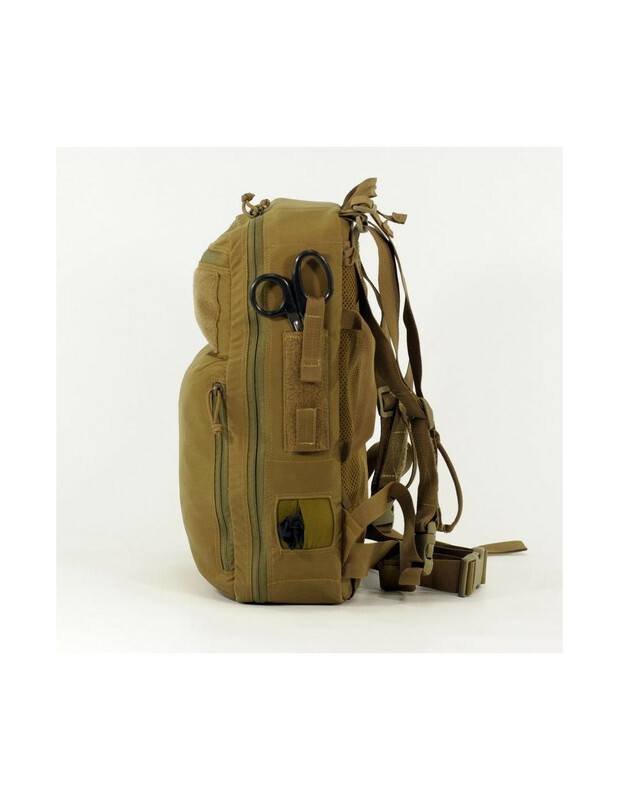 On the front side, there are also two loops with fasteners on the rubber cord for (adhesive) tapes of various sizes. 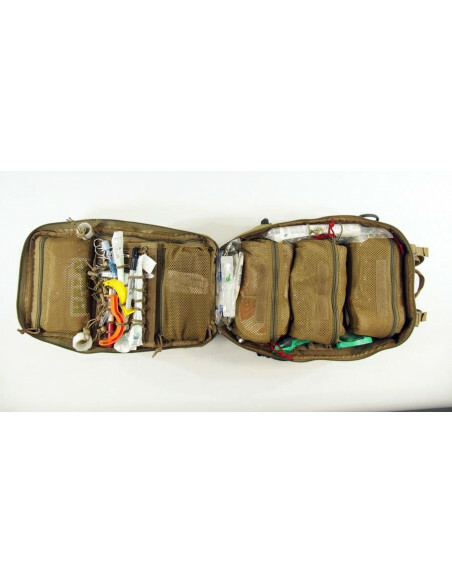 On the back side there are two Velcro strips for fixing the pouches. 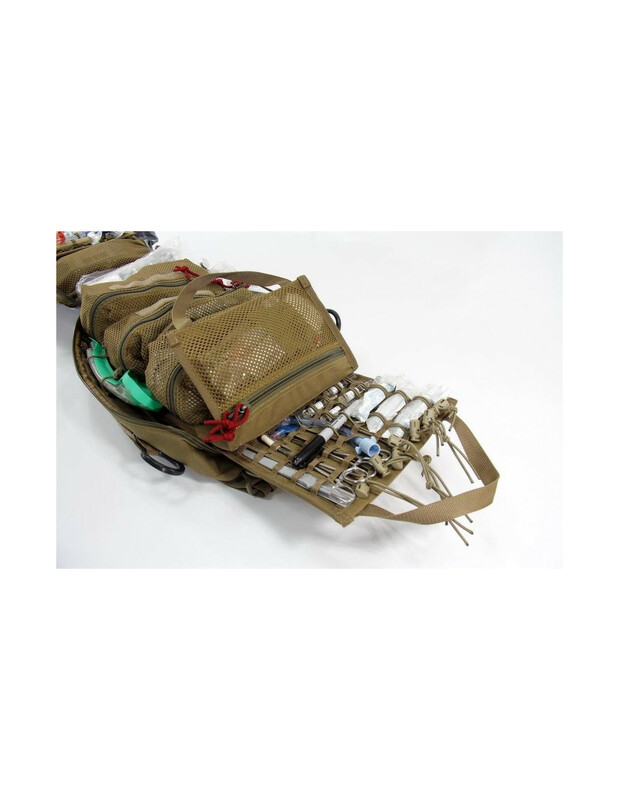 The side walls of the back have a Velcro strip, which holds holders for elongated subjects like laryngeal airways (King-LT and I-gel). 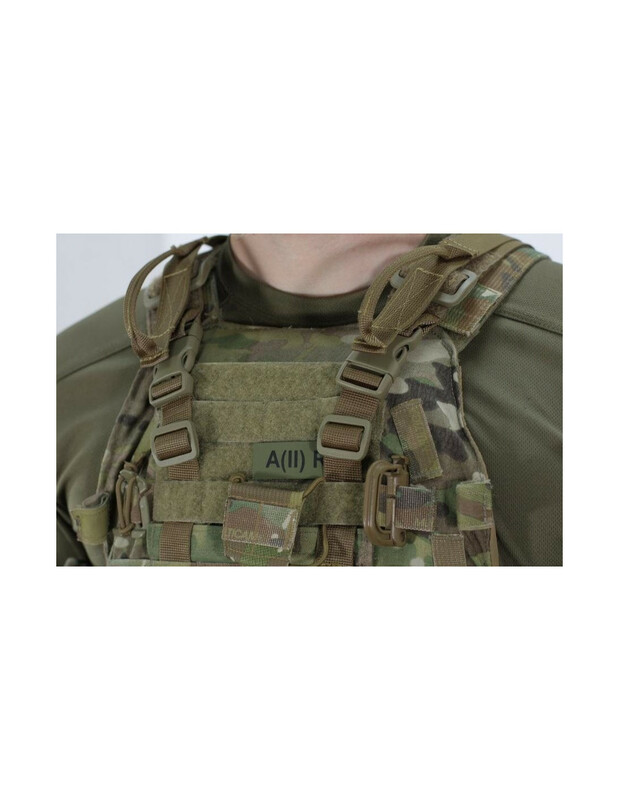 Volume pocket for fixing the medical inset. 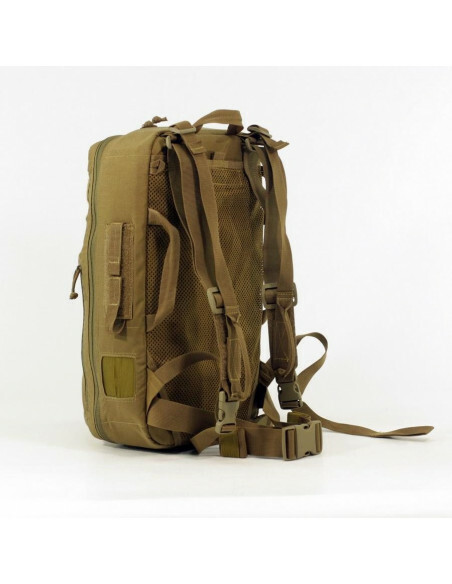 In the lower part of the backpack there is space left for bulky elongated objects (e.g., infusion solutions). 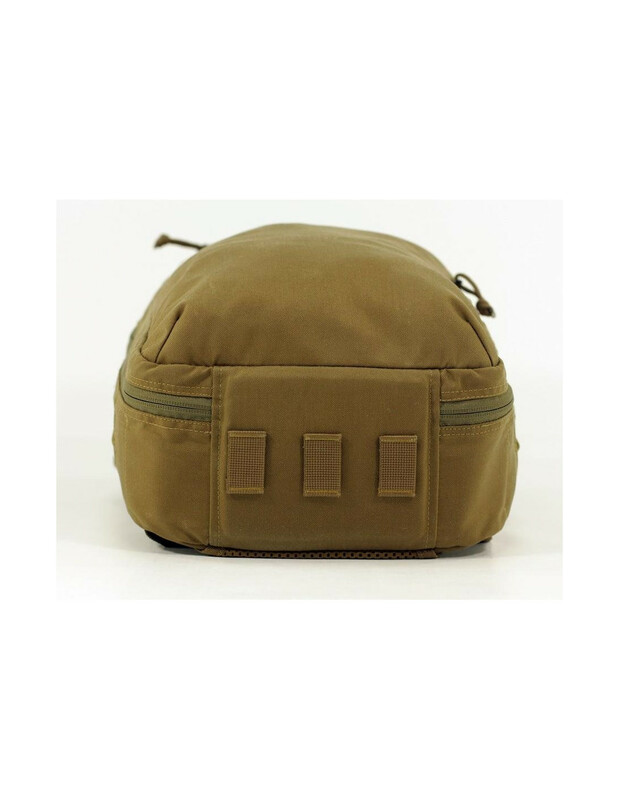 Three volume pockets that allow to hold large quantities of bulky medical equipment, sized 23.5 x 12 x 8 cm. 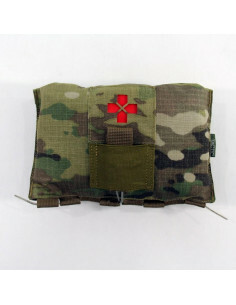 Velcro-based medical panel with rubber cord holders and straps, sized 22 x 14,5 cm. 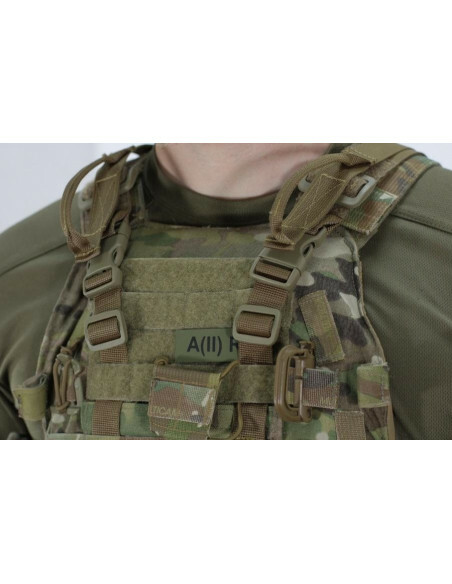 Two fasteners for elongated subjects like laryngeal airways. 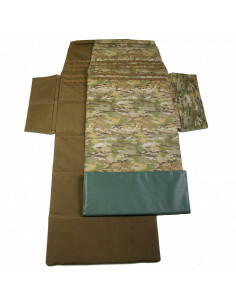 Medical Insert Panel consists of two panels that are joined together. 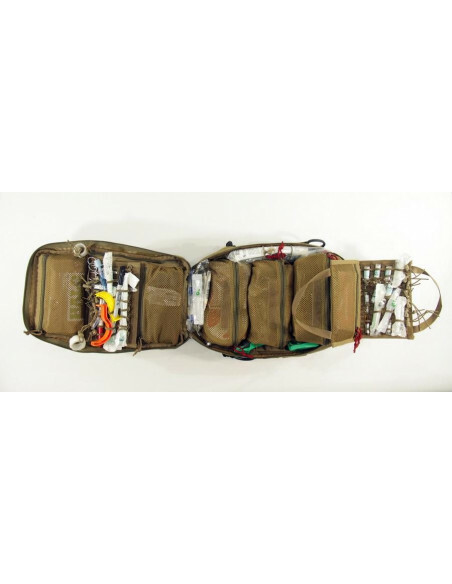 The back panel contains a system of straps and rubber cord holders, which allows to reliably fix ampoules of any size (while leaving visible the inscriptions), syringes, small surgical instruments and non-oversized subjects such as intubation tubes and so on. 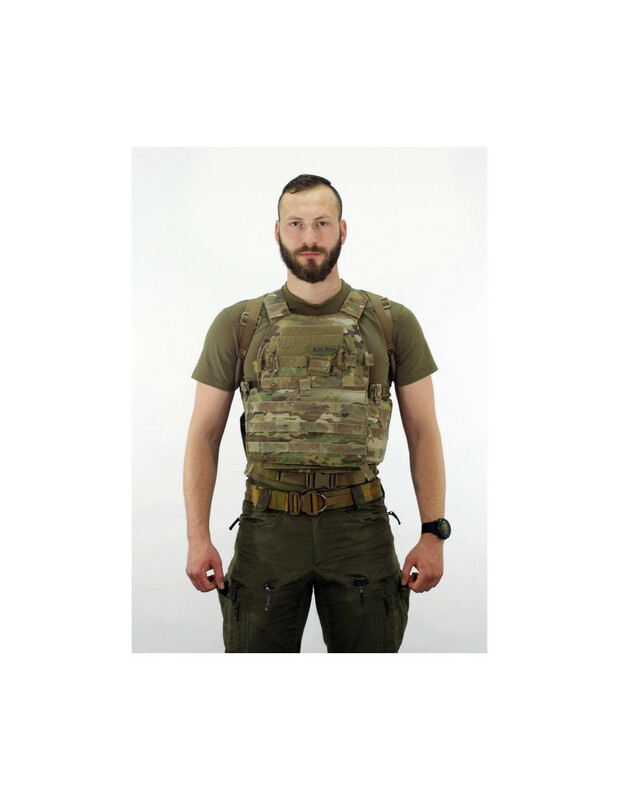 The front panel has two flat reticulated elastic pockets that are suitable for gauze pads, adhesive tapes and other non-oversized flat subjects. 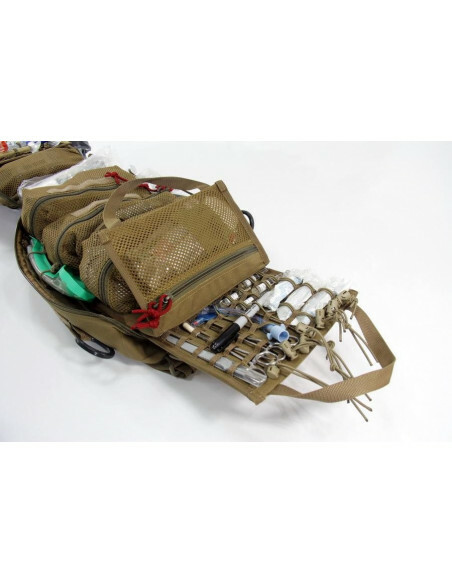 Medical Insert Panel is not included in the basic equipment, is ordered separately. 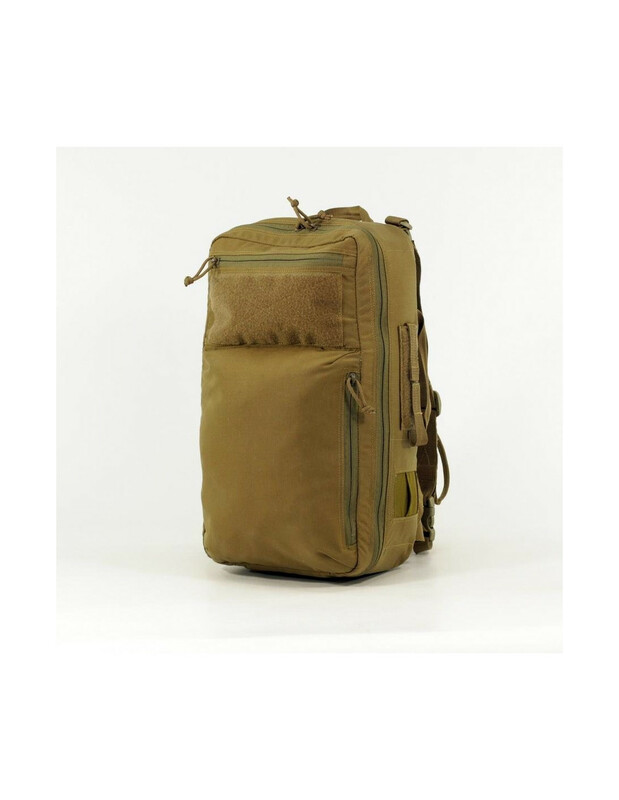 45 x 25 x 13 сm (height / width / depth).